This letter to Kansas Governor St. John from Edwin Knowles invites St. John to speak at a mass temperance meeting on July 3rd in Sabetha. Knowles pledges his support for St. John's nomination. 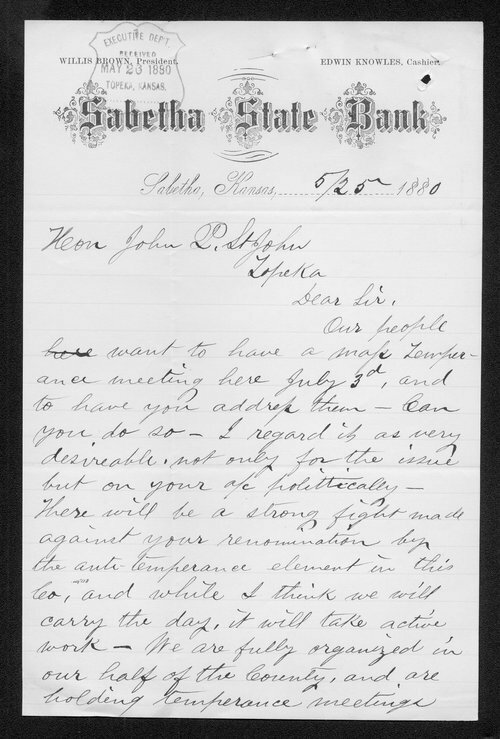 The letter is written on stationery for the Sabetha State Bank. Knowles was the cashier. The letterhead indicates that Willis Brown was the president.